Tyskie Browary Książęce where beer has been brewed uninterruptedly since 1629. Lech Browary Wielkopolski in Poznań with tradition dating back to 1895. The Dojlidy Brewery in Białystok established in 1768. 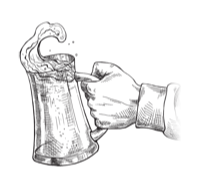 Our proven beer recipes, natural ingredients, pristinely clean breweries and, most importantly, superbly skilled and experienced brewers allow us to brew beers that are highly valued in Poland and abroad. Kompania Piwowarska and its brands are proud of numerous awards and distinctions. 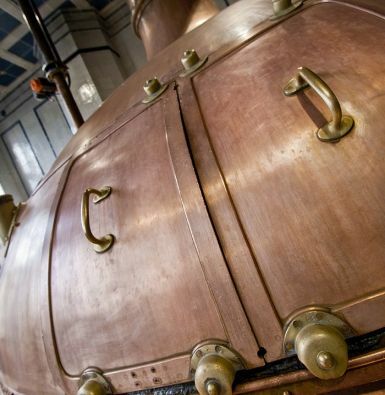 The history of our breweries dates back to the 17th century. We are aware that business viability depends on social development and responsible use of natural resources. An iconic Polish lager that has been among Poles’ favourite beers for years. It comes from Tyskie Browary Książęce, where beer has been brewed uninterruptedly for nearly 400 years. 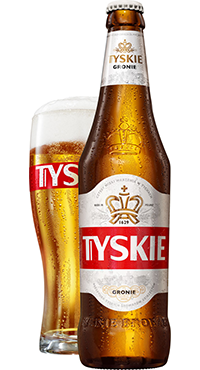 The Tyskie family encompasses the following variants: classic, golden lager (Tyskie Gronie), unpasteurized (Tyskie Niepasteryzowane chmielone na zimno), unprocessed served from a tank (14-Day Tyskie Gronie), low-alcohol (Tyskie Jasne Lekkie), mix of beer and the taste of fresh lemons (Tyskie Radler). Gronie is our flagship pale lager of full strength, which has been gaining recognition both in Poland and all over the world for years. Thanks to the centuries-old tradition of Tyskie Browary Książęce and the experience of their brewers, Gronie provides the perfect balance between hoppy bitterness and malty fullness. A discerning beer drinker will sense some malty notes, a delicate aroma of hops, and even apple and banana flavours. 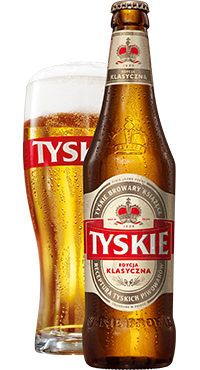 Tyskie Gronie is the only Polish beer to have won two “Brewing Oscars” – Grand Prix at the British Brewing Industry Awards. Tyskie z Tanka is a true unpasteurized beer with an expiration date of only 14 days. Freshly brewed beer is immediately poured into a special tanker and then, within 24 hours, transported to an outlet where it finally ends up in a tank. 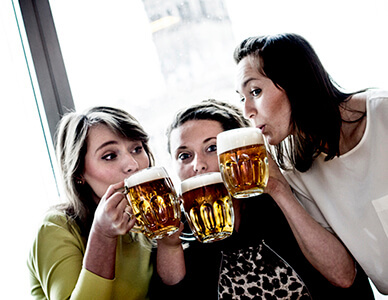 The taste of fresh Tyskie straight from the brewery can be enjoyed in chosen pubs and restaurants across Poland. What distinguishes Tyskie Klasyczne from Tyskie Gronie is a milder bitterness and slightly lower saturation. That’s what makes it an ideal option for longer get-togethers with friends. Refreshment captured in a distinctive green bottle - that’s the Lech beer produced at Lech Browary Wielkopolski. Lech is a brand for outgoing and modern people with positive attitude. Beer for those who like trying out new things. That’s why the Lech family includes not only the refreshing Lech Premium lager, but also beer mixes (Lech Ice Shandy, Lech Ice Bloody Orange, Lech Ice Mojito), a light 3.5% lager (Lech Lite), non-alcoholic lagers (Lech Free and Lech Free Limonka z Miętą) and a locally available pilsner (Lech Pils). Lech Premium is a pale lager that provides a perfect harmony of taste and appropriate carbonation, and therefore excellent refreshment – especially when properly cooled. Perfect for every occasion, always when you need refreshment. Lech is an ideal option for all optimists who are young at heart and full of energy as well as for those who take life with a grain of salt, while remaining ambitious and goal-oriented. It’s a beer for those who believe in the power of positive thinking. Because in the end, optimists always win. Beer from the heart of Wielkopolska brewed exclusively at Lech Browary Wielkopolski. A golden Pilsner with distinctive bitterness and rich foam. As one of the symbols of Wielkopolska, Lech Pils is closely associated with the region and engaged in its development. Lech Pils is the main sponsor and official beer of the Lech Poznań football club. Lech Lite is a light lager with lower alcohol content (3.5%). 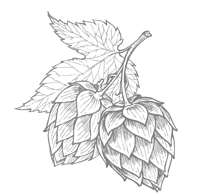 It owes its refreshing and mild taste to cold hopping with the use of Cascade hops typical for IPAs and APAs. It contains 30% less calories compared to other lagers available on the market (only 96 kcal per 330 ml of beer). Thanks to lower alcohol content, Lech Lite is the perfect option for those who want to enjoy meetings with their friends a little bit longer. Lech Ice Shandy constitutes a perfectly refreshing blend of Lech Premium and lemonade. Shandy is one of the most popular beer mixes in Poland – successfully introducing some variety to the world of beer dominated by traditional lagers. This variant will especially please those who on scorching days prefer less bitter beers and enjoy delicate yet refreshing fruity flavours. The mix of beer and lemonade from the Lech Ice portfolio contains 2% alcohol, which is less than classic lagers. Lech Ice Mojito is a refreshing mix of the icy Lech Premium with one-of-a-kind MOJITO flavoured lemonade. Ice Mojito will satisfy the desires of all fans of refreshing flavours. Feel the laid-back atmosphere of Cuba without having to travel to this distant place. Lech Ice Mojito’s refreshing character is even more enhanced by its special packaging design, where the word ICE turns blue when the beverage is chilled down to its best serving temperature. Lech Shandy Strawberry Margarita is a surprising mix of strawberry margarita flavored beer and lemonade mix. Perfect when you want to recall the taste of summer holidays. Ingredients: water, barley malt, glucose syrup, sugar, hop cone extract, acidity regulator – citric acid, natural aromas, strawberry juice (0.1%) from concentrated juice, coloring carrot concentrate. Lech Free is a non-alcoholic beer with a great beery taste. Perfect for every occasion when we want to not only quench our thirst, but also get maximum refreshment. It also works out well with meals, e.g. during lunch. Lech Free is an excellent beverage for active, free-spirited people, as it allows them to enjoy life to the fullest – always and everywhere. Lech Free Lime & Mint is a flavoured variant of non-alcoholic Lech Free. The hoppy bitterness, clearly detectable in traditional Lech Free, was softened with a refreshing aroma of lime and mint. It’s a perfect option for those who look for sweeter and milder flavours. Lech Free Lime & Mint is meant for the fans of active and fast-paced life. Not only does it quench thirst, but also provides ultimate refreshment. It’s an ideal option for a mid-day break, e.g. during lunch. Lech Free 0,0% Pomelo & Grapefruit is a combination of a non-alcoholic lager with the citrus flavor of pomelo and grapefruit with a dry finish. Due to its mellow taste and lack of alcohol you can enjoy its refreshing flavor whenever you feel like it. Ingredients: Ingredients: water, barley malt, sugar, grapefruit juice (0.1%) from z concentrated juice, stabilizer – acacia gum, natural flavor, acidity regulator – citric acid, vitamins C, B5 and B6, hop extract. This product is naturally cloudy. Lech Free 0,0% Pomegranate i Acai is a combination of non-alcoholic lager with sweet-and-sour composition of pomegranate and Acai berries flavors. Due to its mellow taste and lack of alcohol you can enjoy its refreshing flavor whenever you feel like it. Żubr embodies the power of peace. The guardian of the wilderness… in the privacy of your own home. It’s the perfect choice for every man who, after a long day at work, needs a moment of rest. 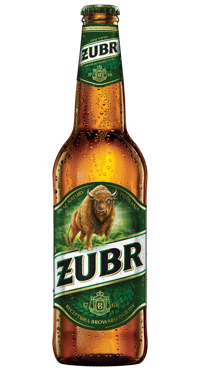 Brewed at the Dojlidy Brewery on the edge of the ancient Białowieża Forest, Żubr brings you peace and harmony. A collection of specialities that refer to current trends and simultaneously draw from the passion and experience of brewers from Tyskie Browary Książęce. These are beers for explorers who value diversity and want to discover the extremely rich world of beer, and at the same time expect ideally balanced flavours. The collection includes permanent (Książęce Czerwony Lager, Złote Pszeniczne, Ciemne Łagodne, Golden Ale) and seasonal variants. Książęce IPA is a beer with intense hoppy aroma and distinctive notes of citrus and tropical fruit. It was brewed with the use of Pale Pilsen and Pale Ale barley malt as well as six different kinds of aromatic hops from the New World: Citra, Mosaic, Cascade, Centennial, Azacca and Pekko. It’s perfect for those who enjoy experiments and adventures with new types of beer or simply look for an occasional alternative for their favourite full light lager. It tastes best when served in a simple tapered glass. Książęce Weizen is a complex beer, rich in taste. Its full wheat body is complemented by fruit, spicy, and herbal flavors from a special strain of topfermenting yeast. At the same time it is light in taste and incredibly refreshing. A beer with a deep, nearly black color, extraordinarily strong extract (20%), and complex sensory profile where one can find both intensive bitterness, as well as prominent sweetness; the two are complemented by smoky acidity, characteristic of this style. Porter is a beer which matures over time – at first, you can notice hints of caramel, coffee and bitter chocolate, but also cherries and currants. Over time the taste mellows down, and to the surface come flavors of wine and dried fruit. Książęce Porter owes its character to 4 kinds of malt – Pilsner, Munich, aroma caramel, and roasted, as well as two hop varieties – Marynka and Lubelski. Naturally hazy beer that quenches thirst and provides perfect refreshment. It should be poured down the side of a tilted glass, then the last part with the yeast residue in the bottle should be stirred and poured onto the head. It’s a beer with a distinctive taste and red-and-amber colour. Beer lovers appreciate its rich, hoppy bouquet and smooth, malty taste – owed to a special production process that uses Pilsen and caramel malts. It tastes best when properly chilled and served in a stemmed lager glass, accompanied by specialities from Polish and Czech cuisine. Ideal for all those looking for a deep and remarkable taste of beer. Ciemne Łagodne owes its delicate flavours of honey and sponge cake to Pilsen and Munich malts, which in combination with with caramel and roasted malts add deep aftertastes of chocolate and coffee. It tastes best when served in a wide goblet and poured slowly, down the side of the glass, to release its rich aroma. Beer that was born on the edge of the ancient Białowieża Forest – at the Dojlidy Brewery in Bialystok, dating back to the second half of the 18th century. This place has shaped the character of Żubr – dignified, majestic, strong and calm at the same time. Żubr embodies the power of peace. The guardian of the wilderness… in the privacy of your own home. It’s the perfect choice for every man who, after a long day at work, needs a moment of rest. 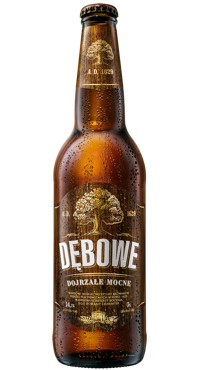 The mature character of Dębowe derives straight from the higher extract content (14.2% by weight), which makes it a beverage of the highest quality with rich flavour and aroma. Its unique taste, dark amber colour and naturally enhanced power will satisfy every mature connoisseur who enjoys tasting beer with no rush, yet with pleasure. Wojak is a proper lager dedicated to young, spirited guys who care about loyalty and brotherhood. Delightfully beery taste, excellent drinkability and right alcohol content (5%). Perfect for get-togethers with friends. In a nutshell, Wojak is a 5% lager for the young and spirited spending time with their mates. A variety of fruity flavours for those who don’t like the classic hoppy bitterness. Sweetness combined with tartness or sour notes, intriguing additions and elegant transparent bottles – here’s the recipe for a beer favoured not only by women. Available in five variants: Mango and Lemon, Bianco, Cranberry, Raspberry & Pomegranate, Apple & Lemon Grass. Summer always comes to an end. The taste of summer – never. Proof? Redd’s Mango i Cytryna. A fusion of sweet tropics and refreshment straight from the lemon tree. Redd’s chill! It’s cool to be together, but it’s merrier in a bunch. Ideally, with Redd’s Bianco. Its delicately dry grape taste adds a sparkling twist to time spent with friends. Redd’s make friends. This, or that? Take one and the other. No more choosing between delicate sweetness and refreshing bitterness. Redd’s Żurawina has it all. Redd’s take it all. The second one is explosive. But the first is delicate. Still, they create the perfect pair: Pomegranate & Raspberry. Redd’s unique taste joined them. Sweet, but sour. Redd’s mix. They bumped into each other by accident. Today, they are together. The apple gave the grass aromatic sweetness, while the grass paid back with crispness. The fruit of this relation is in Redd’s Jabłko i Trawa cytrynowa, for you to discover. Redd’s be happy. Captain Jack is a new, rum flavored beer inspired by pirate adventures and the world of the Caribbean. Out of pirates’ favorite drink, Captain Jack took rum and spice aromas offset by fresh citrus notes. Captain Jack will appeal to those who like to get out of the rut and reach for something new and unknown. Its sociable nature will make it the perfect choice for get-togethers with friends. Having a distinctive taste, it is an excellent alternative to alcoholic drinks and the best companion of great fun. 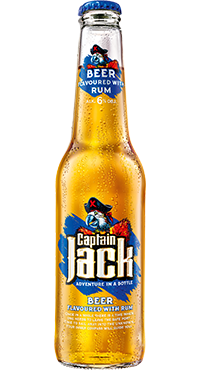 Captain Jack tastes best with a slice of lime or lemon which bring out the beer’s refreshing taste and go well with the world of rum. 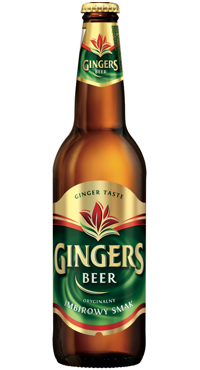 Drink Gingers in no hurry and enjoy the pleasant taste and unique aroma of ginger. The company of this light beer with a delicate gingery flavour will make carefree moments even more delightful. Gingers will be perfect for meetings with friends or summer garden parties. Beer for independent people who will appreciate both its original taste and unusual Swingtop closure. This Dutch beer owes its unique flavour to a special brewing technique in low temperature. In Poland, Grolsch supports artistic events and engages in activities aimed at promotion of culture and thinking outside the box. 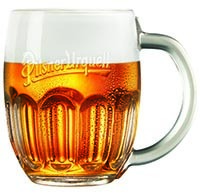 Pilsner Urquell is an iconic Czech beer, the world’s first golden Pilsner. 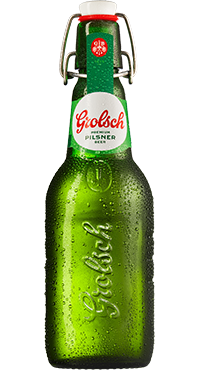 The first batch was brewed in 1842 in a newly built brewery in Pilsen, Czech Republic, by brewmaster and visionary Josef Groll. Since then, it has been continually enjoying great popularity among beer lovers around the world. To this day, it is brewed from only three ingredients coming from the same Czech regions: soft Pilsen water, light barley malt and Saaz hops. The „Father” of all lagers, whose original taste has been an inspiration and a shining example for other beers for over 175 years. Brewed exclusively in Pilsen. It perfectly balances two natures: hoppy bitterness and malty sweetness, resulting from top quality ingredients, longs-standing tradition as well as passion and experience of Czech brewers. Hladinka – the classic way of draughting with a thick creamy head, revealing an ideal mix of bitterness and sweetness. Mlíko – this creamy all-foam specialty devoid of any bitterness will allow you to explore the sweetness of Moravian barely. Čochtan – strongly saturated, poured without any foam, delivering refreshment and characteristic bitterness of Saaz hops. 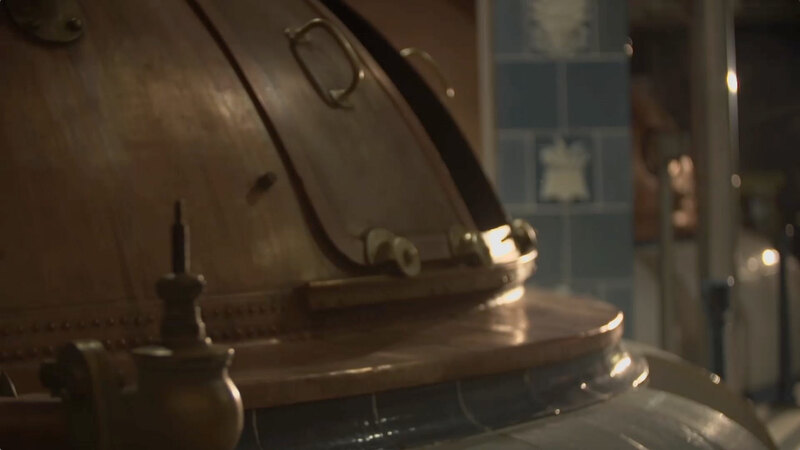 Pilsner Urquell Tank Beer means fresh and unpasteurised beer delivered to outlets directly from the brewery in Pilsen. The specially developed beer delivery system – Tankovna – ensures short and temperature-controlled transportation. Thanks to that, you can enjoy beer as fresh as it has just been brewed. Tank beer guarantees the best quality and excellent, perfectly composed taste. 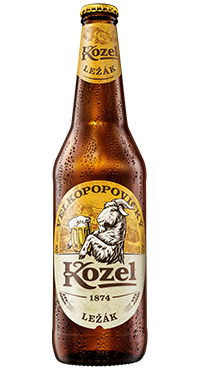 The first batch of Kozel was brewed in a small Czech village of Velké Popovice in 1874. Today, it’s one of the most popular beers in the Czech Republic. 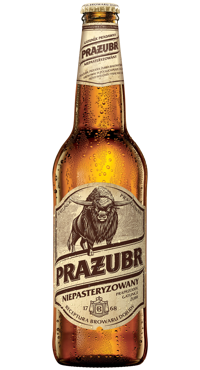 A traditional Czech lager with extremely rich taste resulting from combining three types of malt with the delicate bitterness of hops. 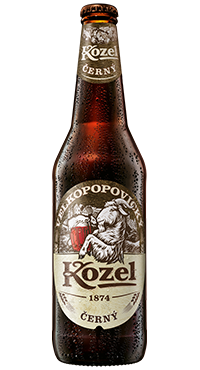 The harmonious composition of the right amount of extract, aroma, and saturation makes you want to drink one Kozel after another and explore the authentic Czech flavour over and over again. Traditional Czech beer brewed with the use of a special mix of dark malts, responsible for the unique ruby colour and slightly sweet taste. Kompania Piwowarska has been consistently earning a spot among Poland’s top employers. It’s an incredibly interesting world of beer. Passionate employees and excellent atmosphere. Locations across Poland. Working with us is a great adventure. Join us! Are you a 3rd, 4th or 5th year student? You can get valuable experience while working for us. Looking for a seasonal job? 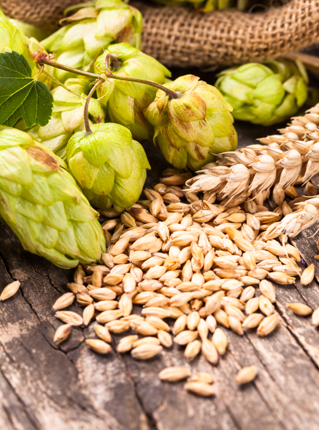 Are hops the main ingredient of beer? 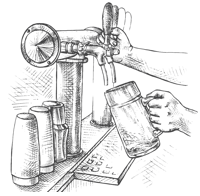 Does draught beer have a lower alcohol content? 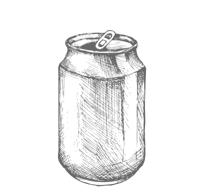 Does bottled beer taste better than canned beer?